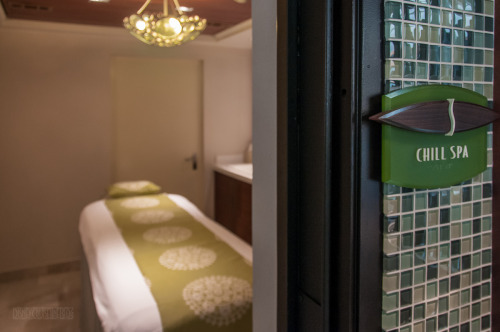 Beginning this week, a new policy will be in affect at the Chill Spa, the spa designed exclusively for teens 13 through 17 years of age aboard the Disney Dream, Disney Magic and Disney Fantasy. A parent or guardian must be present during the duration of all Chill Spa treatments. The Chill Spa, which is part of Senses Spa and Salon, offers unique variety of pampering services and treatments for teens looking to relax and revitalize while out at sea. This entry was posted in News and tagged Disney Dream, Disney Fantasy, Disney Magic, Policies, Senses Spa & Salon by Scott Sanders. Bookmark the permalink. Thank you for sharing. I always wondered about their previous policy. Here at home, for guests under the age of eighteen who seek spa treatment at any facility, it is always required for a parent to be present. Could have something to do with the fact it is a Bahamian flagged vessel and does not fall under typical US regulations for things like this. Do you think this could be related to up charges during the treatment that will now be sanctioned by the parent/guardian? Gawrsh, that could be it! My daughter signed off on $100 skin cream after her chocolate facial. My sunburn appeared much redder that day. Has anyone experienced what ‘present’ means yet? My wife and daughter have done ‘mom & daughter’ spa experiences for a couple of cruises now – each getting their own treatment at the same time…in different rooms. Does the new policy get rid of this?